The new Mazda CX-9 is a large, powerful, and popular crossover SUV. The Mazda CX-9 comes in many available trims, and each level provides specific features and benefits. Each trim type also offers many standard features that provide driver and passengers alike with high tech solutions to many problems. Some of these problem-solving technologies include cruise assistance, hands-free operations, and even trunk loading support. The Mazda CX-9 includes a number of cruise control technologies in its design package. It offers basic cruise control which is capable of maintaining speed, but also offers a specialized adaptive cruise control setting. Adaptive cruise control goes beyond just keeping speed. It can slow down or speed up in response to the movements of other vehicles, thus truly freeing drivers. In addition to the adaptive cruise control system, the Mazda CX-9 makes life easier for drivers and passengers alike with a number of hands-free technologies. For example, the new CX-9 offers drivers the convenience of remote engine starting. With included key fobs, drivers can start their engines from afar during warm or hot weather. 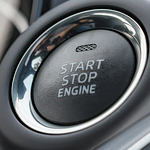 Plus, once they are in their vehicles, they can enjoy the luxury of keyless starting capabilities. The CX-9 also makes it easier for passengers to load their gear into their vehicles. It includes a special remote trunk release that drivers or passengers can activate as they approach their cars. This system can help heavily laden occupants to quickly, easily, and safely enter their vehicles no matter how full their hands may be.